If you are a regular visitor to these pages, which I hope you are! You'll know that we like to champion local talent that we feel deserves a wider audience. We've concentrated predominantly on musicians and today's interviewee has a link to that genre, through her album artwork. So grab a coffee and sit back and enjoy our interview. On and when you can please go and visit her site and if you want a commission then there are details for you to follow. 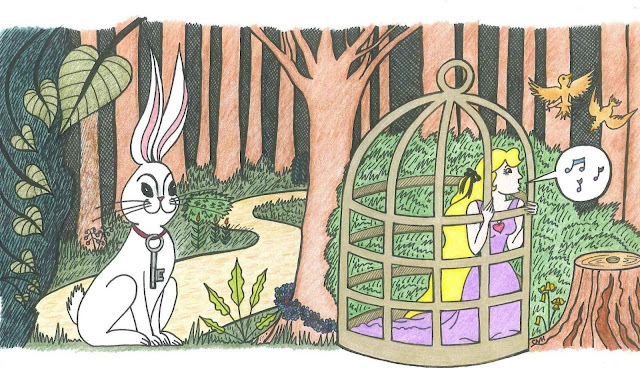 Welcome to the Sketches pages, Chloe Valerie Art. Great Missenden is located in the heart of Missenden Valley, within the Chiltern Hills. This quaint, picturesque town may be small, but at its core, it boasts a museum dedicated to a famous ex-resident and one of the world's most recognised writers; Roald Dahl. If that wasn't enough the town is also a perfect starting point for a walk or cycle ride and is less than an hour from central London! 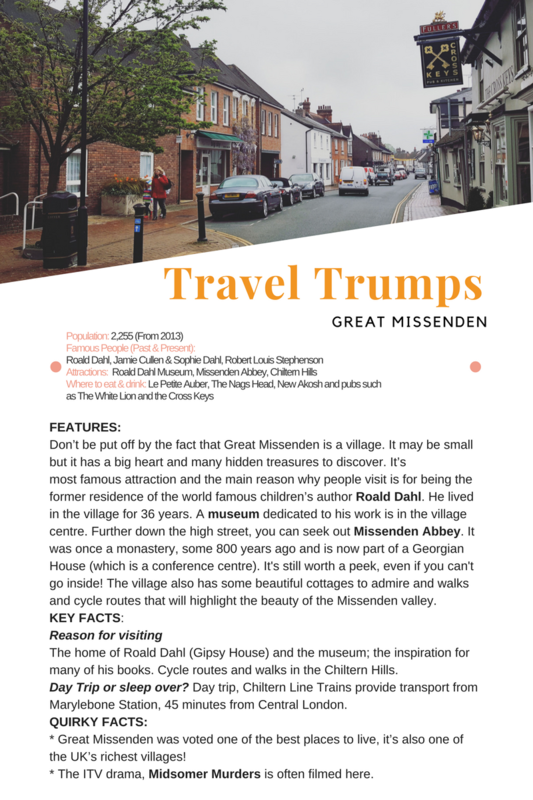 Welcome to our latest (new look) Travel Trumps, the second in our Chiltern Hills series. This is our fourth Travel Trump, with a new design, and I was wondering if to try and turn these into a series of cards that could be sold as a pack of mini-guides. Does this sound like a good idea? I'd love to know your opinion. So please get in touch via the various social media channels. Thank you, until the next time.